A few weeks ago I was contacted by the lovely people at Chicken Tonight as they have recently expanded their range with a brand new selection of Tonight sauces. A few days later they sent me this wonderful hamper full of goodies to let us try out the Tonight range and have some fun too. I was asked to share some of my fun meal creations and names each one as a themed night for each day of the working week. I name this meal with thoughts of my oldest son in mind who is off to University on Thursday. He loves a good home cooked meal so what better meal to start? 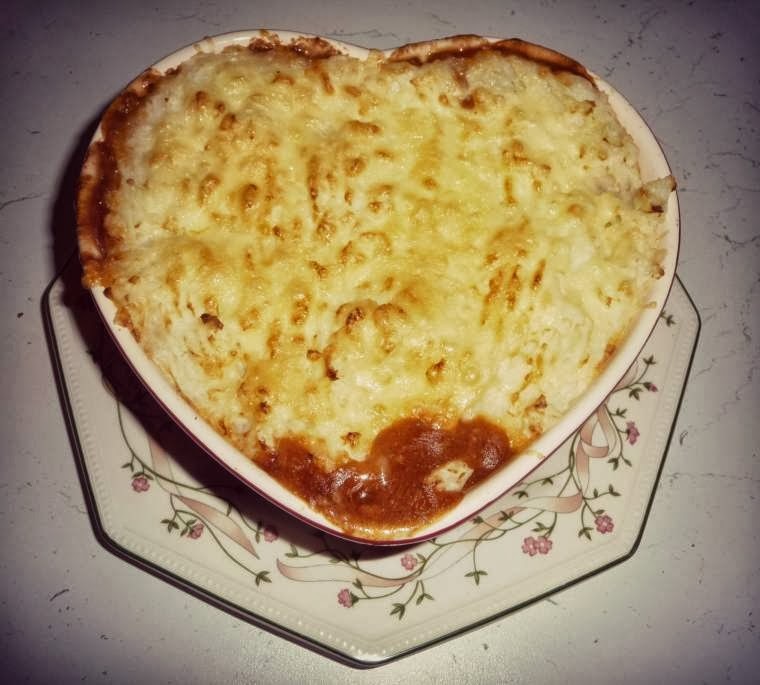 Along with the Cottage pie Tonight sauce, I added minced beef to the sauce and cooked it, then added pre-cooked and mashed potatoes, grated cheese and served with cooked vegetables. This is an easy to follow the recipe that he can also try when he is away from home. After I added the creamy mash potatoes and grated cheese, popped it in the oven for 10 minutes to let the cheese brown. Yum everyone loved this meal. For a nice relaxing Tuesday night, we all shared a spicy Mexican Chile con Carne. 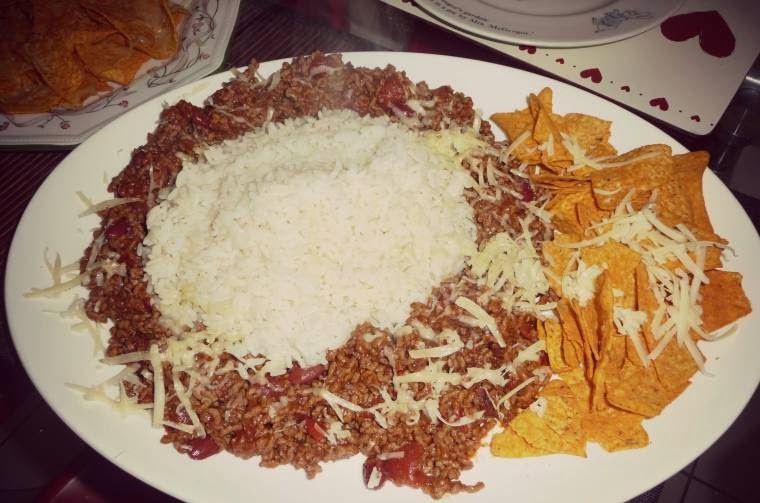 For a fun and very tasty mid-week meal, I cooked the Chile con Carne Tonight sauce up with minced beef, served it up with cooked rice and sprinkled cheese on top. My children love this meal as they know I always add tortilla chips as a side. Sides also included tortillas and cheese done in the microwave for a few seconds and me and my husband had a nice glass of wine. Perfect meal and not a bit wasted!! My husband love sausages so I named Wednesdays meal, dads Tonight. I made the children’s dad this, as he loves sausages. 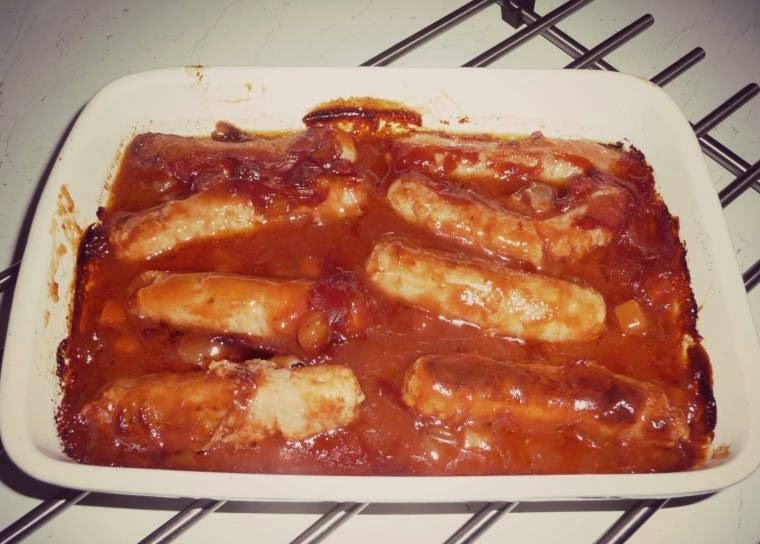 This is an easy recipe as you just have to fry the sausages and transfer into an oven proof bowl with the sauce then leave it, to let the oven cook it. Once cooked I left him to watch his favourite DVD whilst I caught up in blog land. 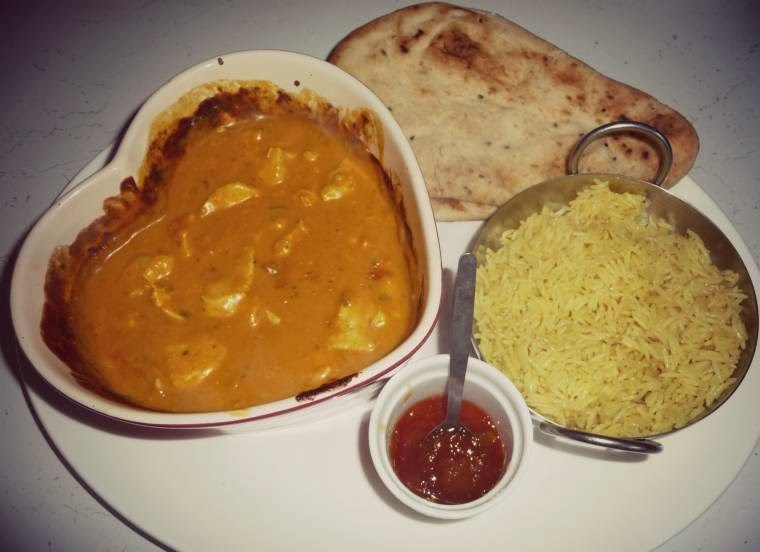 Yes, this one was one for me, one of my favourite meals as I love curries. This Tonight’s sauce is Mild Curry. Another easy recipe where as once you have fried the chicken you can leave it to cook in the oven. So using some free time, I had a nice soak in the bath with lots of lovely bubble waiting for the curry to cook. Friday night is almost always a meal and a movie. We all enjoy Fridays and what better than getting ready for the weekend with good food, a movie and a nice cold drink? 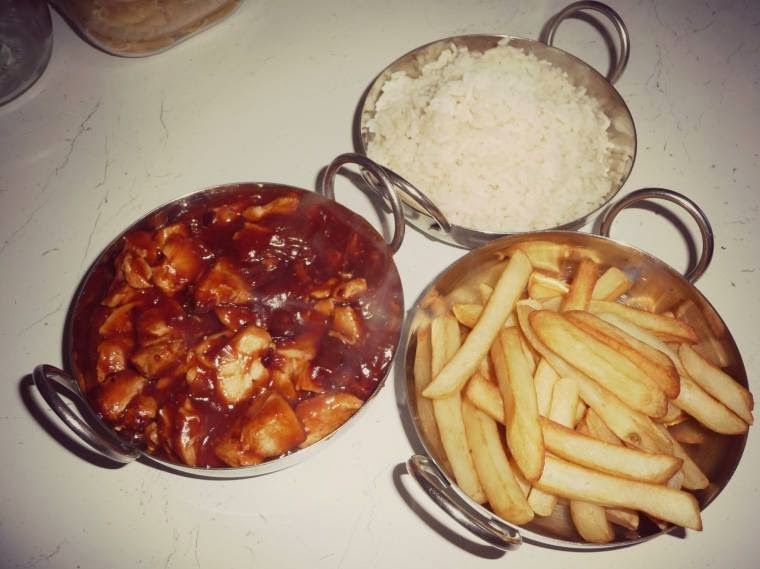 What better day to try out Spicy BBQ Tonight and bring look forward to the weekend. The Tonight range includes six delicious new flavours, making it easy to conjure up a show-stopping hearty meal in a matter of minutes. The new sauces are inspired by Britain’s favourite recipes – all you need to do is add meat and serve with your preferred accompaniment. 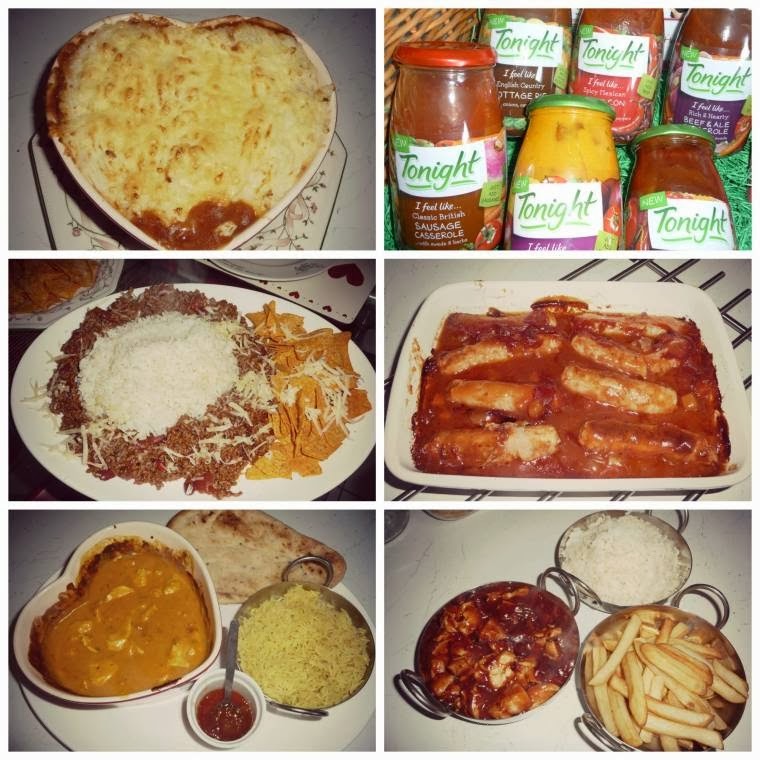 Each of the sauces will offer Brits a family meal favourite – with all of the flavour and none of the fuss. It is available in all major supermarkets now, RRP £1.99. 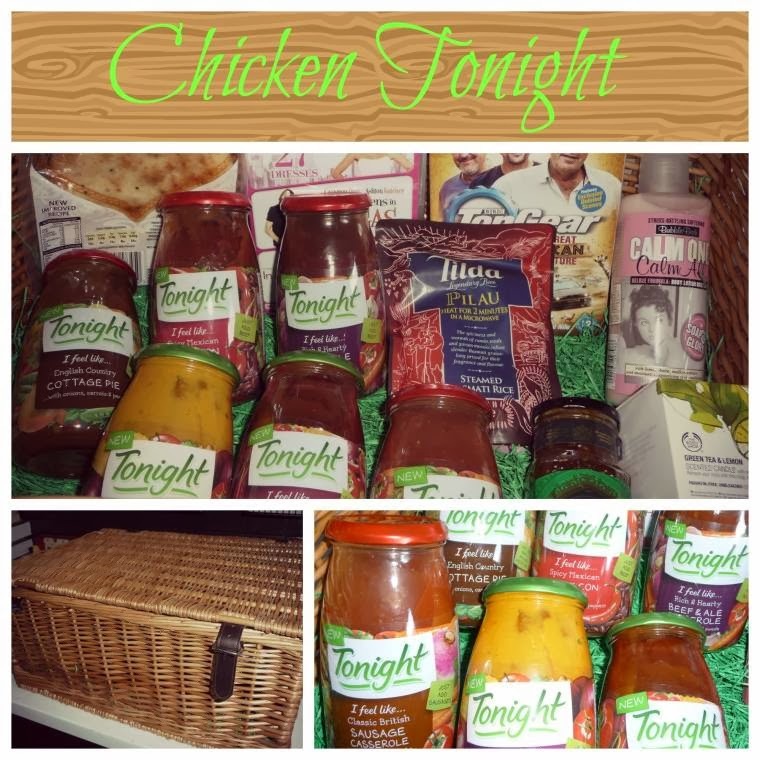 I was sent this hamper to make some fun meals, I was not paid for this post and all thoughts on the meals and Tonight sauces are my own honest opinion. Warburtons Loaf Pudding with Cranberries..
"Double Banana Peanut Butter Milkshake…"
"The Big Blue Cockerel : Wordless Wednesday Blog Hop…"
Wow! Look at all these delicious dishes! Claire I ate just under 2 hours ago and I am feeling hungry after seeing all this yummy goodness! :) The Tonight sauces look great! It must have been a thrill to receive the hamper.